My boys and my husband have always loved Halloween. It’s their favorite holiday. Ghoulish creatures are placed strategically around our front yard, candelabras adorned with spider webs decorate the mantle, jack-o-laterns get carved and giant spiders and rats show up in startling spots throughout the house. And the costumes? They’re discussed for weeks in advance. While candy isn’t mentioned, Halloween wouldn’t be complete without it. Trick-or-treating is the absolute culmination of this much anticipated holiday for my children. I do enjoy the festivities with one exception. Candy. It’s the scourge of Halloween. I’m a nutritionista mom, first and foremost. The long list of unrecognizable ingredients and chemical food colorings appall me. I don’t want any of that junk in my children’s bodies! But the concern about candy stretches beyond that. My middle son was diagnosed with a life-threatening peanut allergy when he was 2 years old. I remember that first holiday, running to neighbors’ houses with snack baggies of grapes and other peanut-free goodies for them to hand out when he’d come to their door. Yes, grapes! He loved them. Finding appropriate Halloween treats became a little more difficult when my peanut allergic child was diagnosed with celiac disease at age 4. Grapes are peanut and gluten-free — but they weren’t going to cut it anymore, I’m afraid. We scoured the lists online and, once again, provided some appropriate candy for our neighbors to hand out. It was challenging but doable. With age, this protective bubble broke. Going to a few houses in the cul-de-sac just wouldn’t do. These boys wanted in on the FREE CANDY BONANZA! They wanted to race to every house and say those magic words to get piles of candy dropped into their bags. 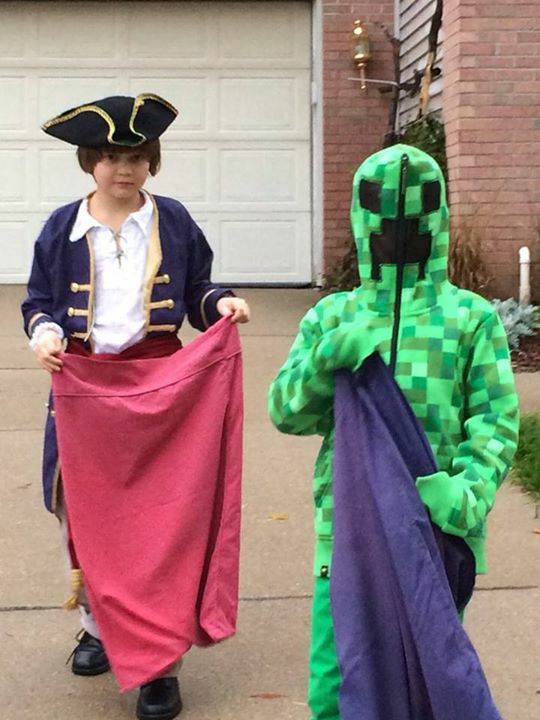 Frozen fingers, wet costumes that wound around their legs — nothing would get between them and the acquisition of candy. The thought of this made me shutter. But I had heard of an ingenious idea from another mom. It’s straight-forward. You buy the candy off of them. It’s bribery — pure and simple! I decided to implement that idea. But it had to be marketed properly, of course. The kids can gather all the candy that their hearts’ desire. After setting a small amount aside, they would exchange the remainder for coins. Coins that would buy a new toy the following day. Candy disappears when you eat it. But toys? Toys last, Kids! As it turned out, this idea was very timely. By the next Halloween, my son with the peanut allergy and celiac disease was diagnosed with type 1 diabetes at the age of 5. Kids with diabetes can certainly have candy. Real candy — not the kind loaded with artificial sweeteners. But if we go beyond a certain threshold, my son’s blood sugars can be affected tremendously. So we put our new system of bribery — I mean trick-or-treating plan — into use. My kids collected piles of candy from a long night in the neighborhood. With great joy, they counted each and every piece. Peanut candy always goes right out of the house. N wasn’t so keen on touching it — fearing anaphylaxis — so he had help with handling it. 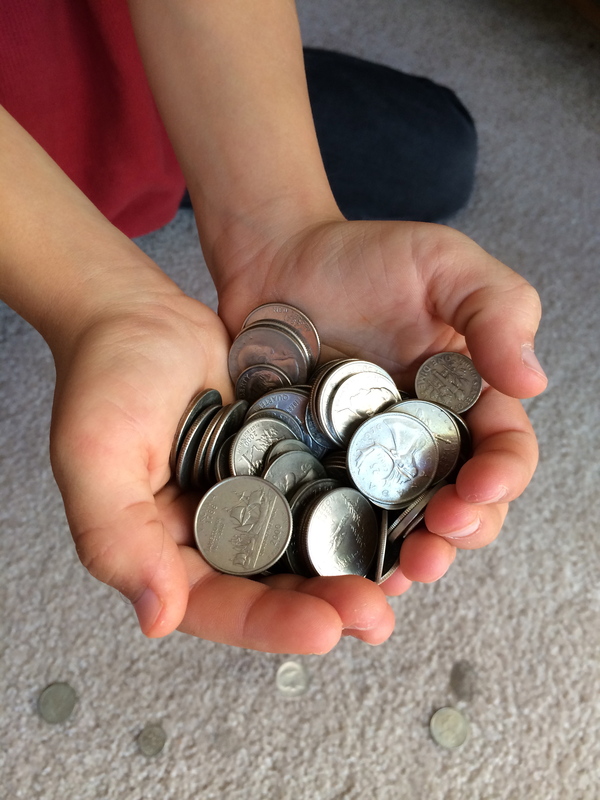 The boys were downright gleeful, seeing the corresponding piles of coins received as a part of this exchange. That money bought them a variety of new toys over the years… Small Lego sets, plastic figures for their castle, wind-up toys and mini science kits. They still got their All-American sugar fix! Just an abbreviated version. With painstaking care, the boys without dietary restrictions chose the ten pieces of candy to save. 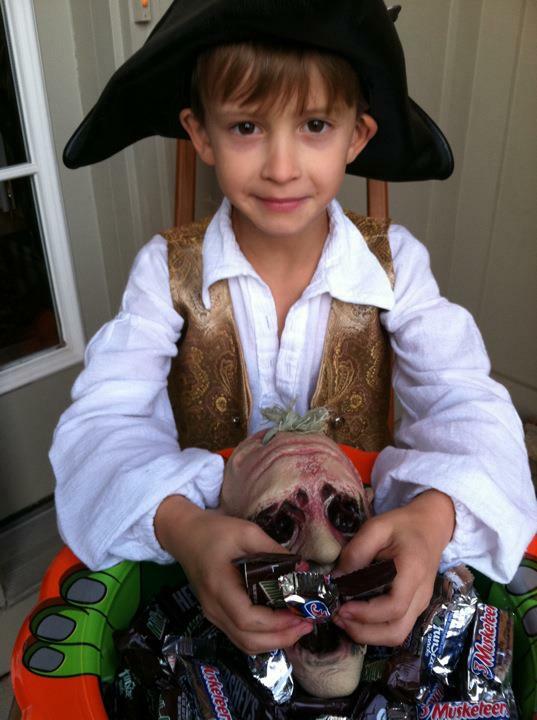 My middle son enjoyed his nut-free, gluten-free dark chocolate Halloween-themed candies. And yes, all three devoured a good portion of it, right on Halloween night. They’re older now and I’ll admit that this deal isn’t quite as appealing. My oldest (who has no health issues) opted out in recent years. He would have rather gorged himself on sweets for weeks afterward than have some money in his pocket. Thankfully, my younger children continue to do this exchange though. They aren’t interested in the toy store anymore. They’d rather save for some big. With October 31st approaching, my preparations are fairly simple. I have only two tasks before the big candy bonanza begins. Well, make that three. Buy a small amount of nut-free, gluten-free chocolate. Plan a fabulously healthy meal that will fill them up as much as possible before they head out on the candy trail. This will include lots of nutrient dense foods to combat the junk that’s about to enter their bodies. I think it’s a win-win situation. Until the next child decides that he only has eyes for candy.